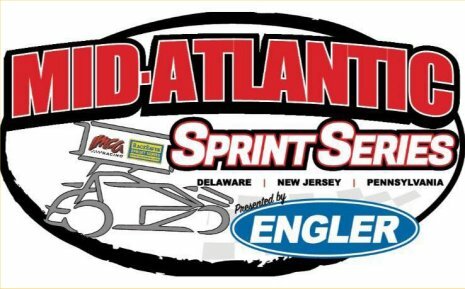 NEWFIELD, NJ.. With the first inaugural season coming to an end, Eddie Wagner of Newfield, NJ was named the 2017 Engler Machine and Tool Mid-Atlantic Sprint Series point champion on September 22nd at Bridgeport Speedway after also winning the twenty-lap feature event. This Saturday, Wagner is looking to continue his streak by visiting victory lane at Grandview Speedway Inc. to claim the $500 to win pay day, which was upped from the regular $300 to win by series sponsor Freiberger Excavating. “I always wanted to win a championship title, but I haven’t always had the chance to run a complete schedule, and when I have focused on points, I finished second and third each time,” Wagner said. “It really hasn’t hit me yet that I’ve won because the season hasn’t ended, and we’re focusing on coming out on top in the last string of events. But I am proud to have won this thing with such a small team of just me, my dad, and my buddy Mark, who’s stuck with me since the beginning. It takes a lot of dedication from not just my part, but from crew guys also, which are hard to find on a weekly basis, so I’m very thankful for the help that I have”. Twenty-seven-year-old Wagner, who began his career racing quarter midgets at the age of thirteen, worked his way up to through the Micro Sprint ranks before purchasing his first full-sized Sprint Car in 2009, racing with the well-known and historic United Racing Club before joining the Tri-State Racesaver Sprint Series in 2012. “I learned a lot racing with URC when I first started, but it just got to be too expensive, and when the Racesaver 305 Sprint Car division took off in this area, it only made sense to me to start running with those guys because of how close to home we were able to run, and also the cost to race a 305 was significantly cheaper then with the 360’s,” Wagner recalled. 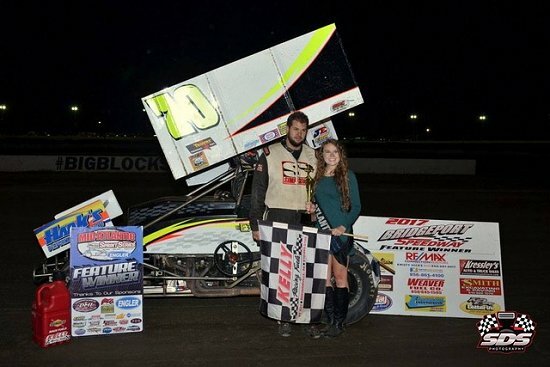 Now, five years later, Wagner owns five victories all coming from Bridgeport Speedway, a 2015 Poker Series Championship from Bridgeport and now the Mid-Atlantic Sprint Series Championship title. With the demise of the Tri-State Racesaver Sprint Series (TSRS) at the end of 2016, Eddie and his wife Erika along with fellow competitor Jeff Geiges and his wife Lindsey all took on a new role of managing the new series (MASS) to ensure that the Racesaver concept would be restored and continue to grow in the New Jersey, Pennsylvania and Delaware regions for years to come. “I haven’t had as much time to stress about my feature set-ups like I’ve had in the past because of the other obligations that Jeff and I took on this season, so everything has been pretty much basic and simple, which has probably benefited me this year to be honest,” Wagner said of his race day involvement as Regional Director over the Mid-Atlantic Sprint Series. “We all work so well together, and Jeff and I have some good people behind us this year that have chosen to stick with us and support the series, so I think this year has been successful to say the least”. With over fifty different competitors competing with MASS within the 2017 season, Wagner explained who he thought was his toughest competition this year, saying "Tommy Carberry is usually a force to reckon with at Grandview. He has a line around the top of the race track that not many people can run, but when he’s up there, he’s always super-fast. At Bridgeport this year, Rick Stief was always quick and you could always find him finishing within the top three there this year, and with that being one of my stronger tracks, I could always count on seeing Rick up there racing hard for the win. We have such a talented field, with guys who are very consistent like Tim Tanner Jr., Dave Brown and Mark Bitner, that it’s hard to just pick just one driver to list as my toughest competitor”. Eddie looks forward to bringing out a new car for Grandview that he recently purchased and put together for the end of the year races. “I’m busting out a completely different car for Grandview, a Mach 1, so I’m not really sure what to expect, but if I get a top ten, I will be more than happy with that result,” he said. Sponsoring the points champion this year with a FULL and FREE custom helmet paint job is Trenton, NJ based JLD Graphics. Jason Dunn of JLD Graphics, specializes in all forms of custom paint lettering and hand painted graphic jobs that range from as small as a race helmet to as large as a whole race car! Dunn, offered an astonshing $1,015 worth of work to the top three in points, providing second place standing Tim Tanner Jr. a $250 gift certificate towards a helmet paint job and third place finisher Jeff Geiges a $150 gift certificate to JLD graphics. The Mid-Atlantic Sprint Series heads to Grandview for the final time this year, for the Thunder On The Hill Racing Series “Triple Thunder Thriller” Special Event, a much-anticipated event for many teams this season. This event is an open invitation race, allowing teams from all over the opportunity to race at the critically acclaimed “Premier Sprint Car track” in the area. More information on this event will be released later this week. For more info on the Mid-Atlantic Sprint Series, visit our website at www.masprintseries.com and check out our Facebook page to receive the latest news and details! Mandee Pauch Relations – September 18, 2017 – The Heinke-Baldwin team earned five top ten finishes, including a pair of top-fives, during their three-day race weekend with the Super DIRTcar Series. Jimmy Phelps opened the evening at Brewerton Speedway Friday night with a second-place heat race finish, placing him into the top-12 redraw. Pre race festivities saw Phelps draw the outside pole for the Duel at the Demon 100. Phelps crossed the line in third. Max McLaughlin rolled out a brand new Teo Pro car Friday evening at Brewerton. McLaughlin fell back to sixth from his fourth-place starting spot. “We had to qualify through the b-main,” added McLaughlin. McLaughlin started on the outside of the 12th row for the 100-lap main event. McLaughlin battled his way through the field from his 24th-place starting spot to close out the night with an 8th-place finish. The momentum for the team continued Saturday at Mohawk International. Phelps was fast from the start, winning his heat race then went on to draw the pole for the main event. Phelps mentioned the track taking rubber relatively early and becoming one groove. Phelps collected his sixth fifth-place finish of the season with the series. McLaughlin drew ninth out of 12 spots for the main event. McLaughlin finished sixth, grabbing his 12th top-10 finish with the series. The HBR team closed out the weekend on Sunday at Cornwall Speedway. Phelps started sixth in his heat and qualified fifth, lining him up on the inside of the ninth row for the 100-lapper. McLaughlin qualified second in his heat race and redrew ninth for the main event. McLaughlin held on for a 13th-place finish. Looking ahead to this weekend’s race at Fonda Speedway, Phelps is feeling confident with their progress. The HBR team has apparel available for sale at their racecar trailer during events they compete in this season. Strange Oval is a division of Strange Engineering, an industry leading company that has been manufacturing driveline and suspension components for all forms of racing and hi-performance vehicles since 1964. For more information on Strange Oval, visit www.strangeoval.com. Phelps would also like to thank J&B Installations, Mohawk Northeast, JRI Shocks, Teo Pro Car, Strange Oval, Winters Performance, Bob Bruneau, Simpson Race Products, VP Fuels, Fragola Performance Systems, Jones Racing Products, Wilwood , FK Rod Ends, Cobra Motorhomes, Bert Transmissions, Eibach, Industrial, Tire of CNY, Driven Racing Oil and Arts Radiator for their continued support. Simpson Race Products is an American motorsports parts supplier. They supply gloves, helmets, harness systems, driver's suits, head restraints, shoes and more to racers at local tracks and international teams. For more information, visit www.simpsonraceproducts.com. “I can’t thank Simpson enough for their awesome products that keep me safe every time I strap into a race car,” McLaughlin said. McLaughlin would also like to thank Textron Off Road, Mohawk Northeast Inc., Simpson Race Products, Wienerschnitzel, Just Let Me Do It Commercial Services, Eibach Springs, Max Papis Inc., HBR, Bob Bruneau, Nitro Manufacturing, Maxima Racing Oils, Winters Performance Products, Hoosier, Cobra, TEO Pro Car, Pro Bar, Strange Oval, JRI Shocks, Absolute Audio, Fragola Performance Systems, Wilwood, Lincoln Electric, VP Racing Fuel, Jones Racing Products, FK Rod Ends, Bert Transmission, ASI Racewear, Swindell Speed Lab, Walker Performance Filtration Systems, HD Designs, Torie Costa Foundation and Butler Built Seats for their continued support. To meet the media relations needs of your program, contact Mandee Pauch at mandee@mandeepauchrelations.com. For more information on MPR, visit www.mandeepauchrelations.com. MPR exists to create experiences where passion and purpose come together to provide compelling, effective and results-driven public relation services that succeed on various levels for our clients. MPR offers a wide variety of services including press releases, website design and maintenance, sponsorship proposals, driver portfolios, social media monitoring and more. For more information, visit www.mandeepauchrelations.com. BEDFORD, PA (September 17, 2017) - Completing a weekend sweep against the Arctic Cat All Star Circuit of Champions, “Blackjack” Brian Brown led all 30 circuits on Sunday night at Bedford Fairgrounds Speedway, earning another $5,000 in the process to cap off a $13,000 weekend in Central Pennsylvania. It was Brown’s first-ever visit to the Bedford County half-mile, ultimately leading Findlay, Ohio’s Caleb Helms and Aussie invader, James McFadden, to the final checkers. Brian Brown is now the sixth different Arctic Cat All Star winner at Bedford Fairgrounds Speedway in six Series appearances; a statistic carried over from Selinsgrove Speedway when Brown became the 16th different winner one night ago. Brian Brown and Caleb Helms led the feature grid to green on Sunday night. Brown earned the initial jump, holding back Helms and Trey Starks as the field passed by the flag stand for the first time. Utilizing the top of the speedway in turns one and two, as well as the bottom groove in turns three and four, Brown cruised at the top of the running order undisturbed until caution flags flew for the first time on lap 11. Trey Starks, who was racing for second at the time, was responsible for the caution, slowing as the leaders crossed the line to complete lap 10; Starks would not return. Green flag conditions soon resumed with Brown returning to his familiar lines in all four corners. By the mid-point of the 30-lapper, Helms was beginning to pressure Brown for the lead, racing within two to three car lengths, even while in traffic, until caution flags flew again on lap 22. The Findlay, Ohio, native was working the top groove all the way around the legendary half-mile, making up the most ground on Brian Brown at the exit of turn four. Including the pause on lap 22, a total of three cautions between laps 22 and 25 interrupted Brown’s campaign at the front of the field, each giving Helms another chance to work around the former Knoxville (IA) Raceway track champion. Despite Helms’ efforts, the restart on lap 25 proved to be all that Brown needed, slowly pulling away as each lap clicked complete. With the final Pennsylvania appearance officially in the books, Tony Stewart’s Arctic Cat All Star Circuit of Champions will turn west and hop the Pennsylvania/Ohio border, anxious to battle in the Buckeye State for the final four dates on the 2017 campaign trail. Eldora Speedway in Rossburg, Ohio, will host “America’s Series” on two occasions during the final four stops including a visit on Saturday, September 23, for the 36th Annual Four Crown Nationals. Joining all three national USAC divisions, the Arctic Cat All Star Circuit of Champions will compete for $5,000 during the Four Crown Nationals showstopper; a program that welcomed 37 entries in 2016. Ian Madsen earned high honors a year ago, holding back Chad Kemenah and Randy Hannagan at the finish. Those seeking additional news and notes regarding the Four Crown Nationals should visit Eldora Speedway live on the Web at www.eldoraspeedway.com. 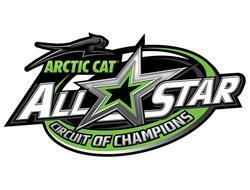 Those seeking additional information regarding the Arctic Cat All Star Circuit of Champions should visit its official online home at www.allstarsprint.com. Series updates and breaking news will be posted regularly on the official Twitter account of the Arctic Cat All Star Circuit of Champions: https://twitter.com/ASCoC. Find full text results from each and every event, as well as an up-to-date schedule, online at www.allstarsprint.com/schedule/. The Arctic Cat brand is among the most widely recognized and respected in the recreational vehicle industry. The company designs, engineers, manufactures and markets all-terrain vehicles (ATVs), side-by-sides and snowmobiles, in addition to related parts, garments and accessories under the Arctic Cat® and Motorfist® brand names. Arctic Cat Inc.’s world headquarters is located in Minneapolis, Minnesota. More information about Arctic Cat and its products is available at www.ArcticCat.com. SELINSGROVE, PA (September 16, 2017) - Adding to a rapidly expanding resume, “Blackjack” Brian Brown ruled Central Pennsylvania soil on Saturday evening during his visit to Selinsgrove Speedway, claiming the 35th Annual Jim Nace Memorial/National Open with the Arctic Cat All Star Circuit of Champions. The Grain Valley, Missouri, native led all 30 circuits at the historic venue to score the $8,000 payday, ultimately crossing under the final checkers ahead of a pair of Central Pennsylvania’s finest, Brock Zearfoss and Greg Hodnett. The Arctic Cat All Star victory was the first of Brown’s career, also becoming the 16th different Arctic Cat All Star winner at the Selinsgrove half-mile in 16 starts. Despite leading all 30 circuits, Brown’s campaign at the top of the running order did not go completely uninterrupted. A series of cautions, two of which on lap four for back-to-back red flag incidents, were obvious distractions for Brown. Traffic came into the picture for the first time on lap eight which held up Brown just enough to allow James McFadden, Brock Zearfoss and Greg Hodnett to track down the race leader. By lap ten, the top-four were racing nearly nose-to-tail while navigating through slower cars. In Brown's favor, a caution on lap 13 would end any further challenges by those racing behind him. The main event’s final caution on lap 22 set up a clear track and clean air for Brown, not reaching the tail of the field again until the mid-point of lap 29. 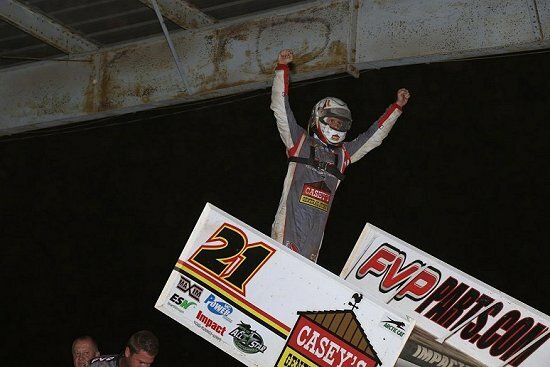 The former Knoxville (IA) Raceway track champion was chased to the checkers by recently crowned Port Royal Speedway champion, Brock Zearfoss, and Greg Hodnett. For the final time this season, the Arctic Cat All Star Circuit of Champions will headline competition in the Keystone State, this time paying a visit to the oldest active dirt track in the state. Bedford Fairgrounds Speedway in Bedford, Pennsylvania, will host Tony Stewart’s Arctic Cat All Stars on Sunday evening, September 17; the second appearance of the season, as well as the sixth in Series history. Washington native, Trey Starks, is the most recent winner during Arctic Cat All Star competition at the Bedford half-mile, holding off Dale Blaney and Lucas Wolfe for a $5,000 payday on April 30, 2017. Bedford Fairgrounds Speedway officials will allow pit access beginning at 4:00pm on Sunday, September 17. The mandatory drivers meeting will take shape at 5:30pm, followed by hot laps at 6:00pm. More information can be found on the Web at www.bedfordspeedway.com. ALGER, WA - September 1, 2017 - Brad Sweet led the first eight laps before getting together with a slower car and collecting second place running Daryn Pittman. 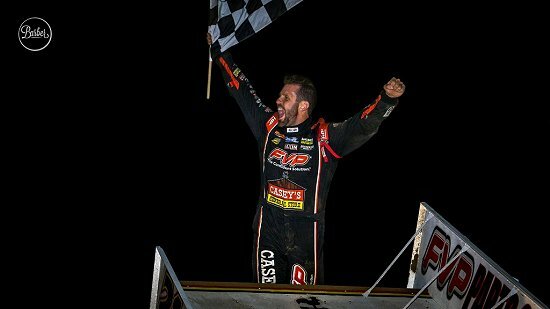 Shane Stewart assumed the lead and never looked back, scoring his sixth win of the 2017 season. Jason Johnson and Jac Haudenschild completed the podium on Night 1 of the Outlaw Energy Showdown at Skagit Speedway with the World of Outlaws Craftsman Sprint Cars. With an inversion of six, Sweet and Kraig Kinser shared the front row of the Craftsman Club Dash. In an action-packed event Sweet powered around Kinser earning the pole position for the 30-lap Feature. In the Feature, Sweet was strong early as was his Kasey Kahne Racing teammate, Pittman. Pittman made his bid for the lead on the backstretch of the eighth circuit but Sweet muscled back ahead to lead the lap. The following lap, off of turn four, a chain reaction sent the slower car of Austen Wheatley into the front end of Brad Sweet's Ollie's Bargain Outlet No. 49 ultimately sending the car down the track into his teammate Pittman. Pittman and Clyde Knipp, who was also a lapped down, had nowhere to go on the tight 3/10th mile racing surface. Both Pittman and Sweet were able to make repairs and return to the rear of the field. Shane Stewart, who was just inches away from being collected as well, assumed the lead with Kinser, Jason Johnson and Jac Haudenschild in tow. 'The Wild Child' used a great restart on the top to shoot into the runner-up position and begin chasing down Stewart for the lead. A pair of double-file restarts, for cautions on lap 10 and 18 respectively, gave Haudenschild a chance for the lead but the Wooster, Ohio veteran couldn't get close enough to mount a serious challenge. With seven to go, Haudenschild took a chance ultimately opening the door for Johnson to squeeze by for second. A yellow with five to go gave the field one last chance to steal the win from Stewart. To no avail as the Bixby, OK native piloted the Larson/Marks Racing No.2 to Victory Lane for the sixth time in 2017. Johnson, who has never finished worse than fourth at Skagit, settled for second with Haudenschild scoring a strong podium finish in the Stenhouse Jr./Wood Racing No. 17. Donny Schatz and Jac's son, Sheldon, completed the top five. Greg Wilson picked up KSE Hard Charger honors coming from 14th to sixth. Pittman and Sweet made it back forward to tenth and 12th, respectively. The World of Outlaws Craftsman Sprint Car Series returns to the Skagit Speedway Saturday evening for the conclusion of the Outlaw Energy Showdown. CONTINGENCY WINNERS: MSD Ignitions ($25 cash): Marc Duperron; MSD Ignitions ($50 cash): Shane Stewart; JE Pistons ($50 cash): Sheldon Haudenschild; VP Racing Fuels ($50 cash): David Gravel; Edelbrock ($50 cash): Logan Schuchart; Comp Cams ($50 cash): Daryn Pittman; Extended Stay America ($50 cash): Paul McMahan; Cometic Gasket ($50 cash): Brad Sweet; Super Flow ($50 cash): Jacob Allen; Craftsman Club ($100 cash): Brad Sweet, Kraig Kinser, Daryn Pittman, Shane Stewart, Jason Johnson; Sears ($100): N/A; KSE Hard Charger: Greg Wilson; Comp Cams ($50 product certificate): Shane Stewart; JE Pistons (Set of Rings): Jamie Veal; JE Pistons (Set of Rings): Clyde Knipp.